The cutting force is the most significant information in machining processes for the cutting parameter and tool geometry optimization, machine tool design, machinability testing of new materials and tool condition monitoring systems. This paper develops a strain gauge-based dynamometer for a 3-axis cutting force measurement in turning process. The octagonal rings are utilized as force transducer to develop strain gauge-based dynamometer to measure the cutting force acting on the tip of the tool. A novel geometrical design of the dynamometer structure allowed the standard tool shank of the turning operation to be easily changed without altering the sensor system. The developed dynamometer can perform the cutting force measurement up to 2.9 kN and has a dynamic response of about 766 Hz. The sensitivities were found approximately in the range of 31.3x10-3 – 172.4x10-3 mV/N and it has a low cross-sensitivity error of below 0.87%. 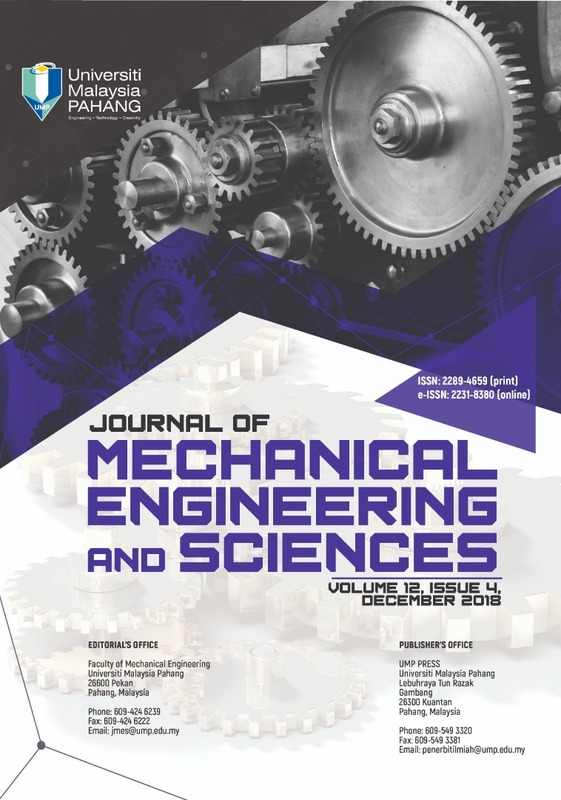 This paper is focus on geometrical design, mathematical and FEM analyses which are significant role in force sensor developed and present an application of low cost sensing method in turning process.